Dear Brother, I expect you thought we had given up the land trade. The boys did give it up for a while, Will especially. Will was there up in Dakota where the land is much leveler and no truck (?) or jambs (?) to combine with that. It spoils him for this county. He is grouching all the time about this rough county. The trouble is, if you want to sell it, it is hard to sell. The land buyers all come from Illinois [illegible] and Indiana and they all want smooth land. Where Will worked, one man can do as much as two or three times. 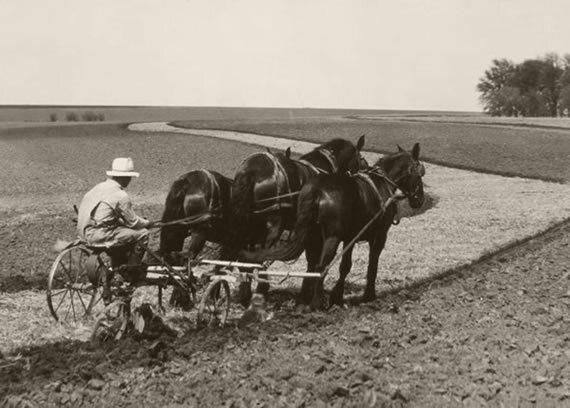 The first work he done up north was put in 80 acres of spring wheat in 7 days himself with four horses abreast on disk harrow on corn stubble ground and plowed corn rows 3/4 mile long. And now they have cultivators that finish four rows at a time worked by three horses. You can see from one end of the row to the other. They work four horses abreast on the binders’ 2-foot cut. So you can see why he dislikes rough land. They have one man proportions (?). That is, you give them one more year to buy it in making 5 four-hundred dollar notes instead of 4. They are afraid it would push them to make it in four [illegible] the fifty rented. They will pay the rental the 1st of October, but then the notes are due December 1st as they cannot get their hogs into market before that time, and it would cause them to have to borrow each [illegible] for that time. I’ll send you a draft for two hundred dollars and five notes of four hundred each, and if you cannot close a trade on that, I will trust you to destroy the five notes and make [illegible] to the fraction of land first mentioned, as I want that line fixed while I am living, if possible. The boys tell me to state to you that they will pay it all as soon as they can in three years if they can, but things are so uncertain in this world. We can not tell how things will come out. They have a car load of hogs to finish this fall if the Cholera don’t strike them. I saw one man four years ago have 125 head ready to commence to feed out and the Cholera struck his swine and when it got through with them, he had 15 left. So you can see it is uncertain. They have the corn to raise to feed them. They are putting in 60 acres. They are plowing with [a?] one ton horse team and one three. It has been dry for two or three weeks. The oats did not come up even. It was so wet that we did not get them sewn in the right time and then it got so dry. We had quite a rain this morning. I think we’ll bring out [illegible].The rest of the hay crop is going to be short and we can make hay of the oats they sewed. [illegible]. Will you want a contract for the rental or you can have it put in the conditions in the bond. I will send you a bond with the numbers (?) of the land and you will have to have a notary fill it out and signature (?). Keep this letter for reference. I have a duplicate of it. P.S. Please let me hear from you soon. Here we have another hand-written letter from my Great-great Uncle Samuel Alexander Gray (1842-1919) postmarked Bedford, MO, to his brother, my Great-grandfather Robert Patterson Gray (1844-1928) at the family homestead in West Deer Township, Allegheny County, PA. Little is known about Bedford except that it is just southeast of Chillicothe, the Livingston County seat along the Grande River. As with the other letters transcribed in this series (see the 1901 letter), the handwriting is difficult to read and some of the agricultural references are hard to understand. In some cases I have placed (?) or [illegible], reasoning that I can return later in this project to offer a better educated guess at the words and phrases when more context is available. I have taken the liberty of correcting some of the grammar and spelling where I feel the reader will benefit. Unlike the previous letter referred to above, this one seems to have only one purpose: to lay out the conditions for Samuel to borrow money from Robert and or have him rent or purchase land on his behalf. 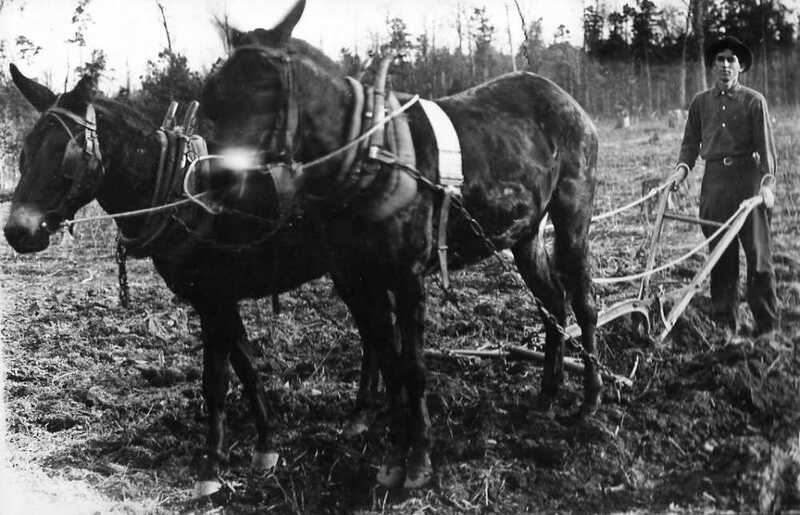 In doing so he clearly and expertly describes the land and growing conditions in both Missouri and South Dakota, where he and his sons are farming. He also states the amounts in installments he wishes to borrow, called bonds, when they can be expected to be repaid, either by him or by his sons, and how such a loan contract should be written. This then is the primary scope of this article. From the sound of the first sentence, one might guess that Samuel hasn’t written to his brother in a while. We don’t know what has been communicated in the five years between letters. It wasn’t clear from the 1901 letter whether Samuel and son William Alexander Gray (1874-1931) owned or rented land in South Dakota or were just part of a work gang of harvesters. We do know that the land and surely the living conditions back on the Missouri homestead that Samuel and wife Maggie had settled just after the Civil War was, as he puts it in this letter, “rough.” Furthermore, the weather in Missouri has ranged from too wet to too dry. Is Samuel ready to sell the homestead and move north permanantly to land that is “much leveler”? Apparently he’s had offers to sell the homestead from farmers in Illinois and Indiana, but he says, “It is hard to sell . . . They all want smooth land.” Samuel is very descriptive as to how much more farm work his son Will can do in South Dakota compared to Missouri. What isn’t clear is if Samuel is borrowing money to buy or rent South Dakota land partly on behalf of his sons or sending money for Robert to contract the land for them. Samuel says, “I’ll send you a draft [or bank money order] for $200 and five notes [promissory?] of $400 each.” Who is Robert buying the land from, the U.S. Government? 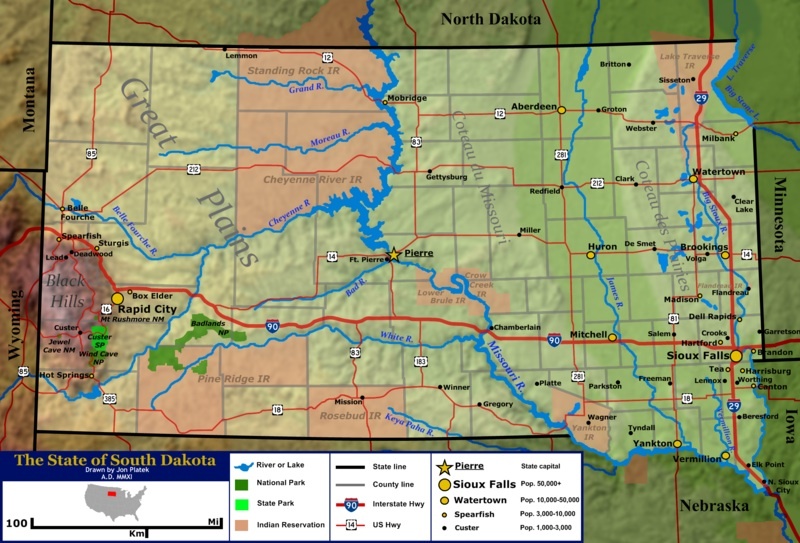 Wikipedia tells us that the Dakota Territory had been Native American land but became available for sale once the Indians were either displaced or defeated. Apparently, brother Robert had more collateral or even more cash to turn Samuel’s “notes” into real estate from his holdings back East. If Robert can’t work the deal, then Samuel trusts his brother to “destroy” them and use the bank draft to get what he can, even if it’s only a “fraction” of what he had hoped for. I’m touched by Samuel’s responsible sentiment: “I want that line fixed while I am living.” Despite his ailments, we know that he will live another 13 years, but we don’t know what became of the deal. Perhaps future transcriptions will reveal it, and we’ll report that in a future article. Samuel is careful to lay out the uncertain conditions for farming in the West. While he states that Will and his brother or brothers, Robert Grant Gray (1872-1923) and/or Harry Bliss Gray (1882-1967), want to repay their Uncle Robert within three years, agriculture is an “uncertain” vocation. He cites hog raising and the terrible Cholera epidemic raging in America then. USDA vet C.N. McBryde reported that in the early 1900’s, this malady “often swept through the countryside, causing devastating losses. During the fall months, looking across the prairies of the Middle West, one could often see smoke ascending from perhaps a half-dozen farms where pigs dead of Cholera were being burned.” It wasn’t until 1978 that the disease was mostly erdicated around the world. The homesteader brother in Missouri lives on, and we will hear from him and brother Robert again, thanks to my caring cousins who have preserved, catalogued, and summarized the many artifacts of our Gray family. Credit goes to Janet Kellar Hull, Dr. David Gray, and his wife Phyllis. We suggest that the reader begin with the three-part Civil War series, Samuel’s time in the war, an 1863 letter from a Civil War camp to his mother back in Pennsylvania, and his post-war days in the mid-west as well as Robert’s Civil War experience and the 1901 letter mentioned above. Look for future articles on the Grays in the Civil War and Robert’s time as a real estate entrepreneur in Florida.